In the past, Milani was a brand I never really explored. Mostly because Rite Aid doesn’t carry their products, and that’s my go-to drugstore. Boy, was I missing out. Their latest spring releases have been raved about across the beauty bloggosphere, and I have fallen in love with one of the new products, myself. The Milani Lip Intense Liquid Colors are liquid lipsticks that apply like a gloss, with the pigment and wear time of a high end lipstick. The shade that stole my heart was Violet Addict, which is the perfect Radiant Orchid lippy I’ve been looking to add to my collection. The Lip Intense Liquid Colors come in a tube containing a generous .20 fl oz, and a rounded rectangular sponge tip applicator. At first, I thought the applicator would be awkward since there is no slant, but it is actually very easy to use and is precise in placing color. Speaking of color… would you just look at that swatch? This product is pigmented, and you don’t need to double dip to get full opacity. The thinnest application will drench your lips in the beautiful shade. Not to mention, the color lasts all day. I got a whopping 8 hours of wear time, and that’s through two meals. No feathering, no patchiness, nada. The Liquid Color stains your lips, so even if a little transfers, you’ve still got full coverage color. The formula has got to be one of the best I’ve felt from a drugstore lip product. It goes on like a luxe gloss with absolutely NO tackiness. Although it dries on the matte side, it stays feeling creamy and moisturizing. I could go the whole day with one application and my lips never feel dried out. The Milani Lip Intense Liquid Colors feel like a high-end lip product you would buy at a department store. But alas, they are just under $7 in drugstores! They come in 4 different colors, and I’m hoping the brand expands this line. Have you tried any of the other spring releases from Milani? Right?? It’s in a league of its own! I saw this color while I was picking up another Brilliant Shine and thought of you! I want it. All over me. That sounded so wrong but I meant it. I find my Milani products at my local WalMart or CVS! I love this color on you! I can understand that. I wish I had a Rite Aid somewhere even near me. 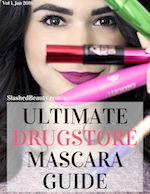 Only drugstores I have around me is Walgreens or CVS. For some very ‘bad’ reason, I don’t know what, but Milani isn’t readily available here in Denver. The Walgreens do not carry them. This makes me very, very sad as I love Milani and I want instant gratification with these!!! These new lippies sound amazing! Want! Sounds exciting. Looks pretty on you. Waiting for it to come up in stores. I’m amazed at how pigmented this is. Milani makes some pretty fab, colorful stuff! 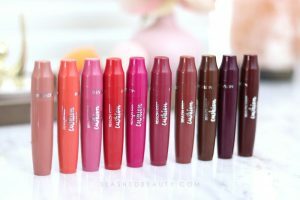 These are some of my FAVORITE lip products right now! This is such a pretty shade. I’d definitely wear it. What! That’s so hard to believe! I’m obsessed with these. This is a great color for you!! Wow!!! That color is super beautiful and so pigmented. Wow! That’s super pigmented. That looks gorgeous on you. Whoa, these are crazy pigmented! I was just looking at Milani’s new baked blushes, but wasn’t sure what else to add to cart to get free shipping. Looks like I might have to grab one of these glosses 🙂 Thank you for this review!